Canada | United States Tours | Alaska Adventure Travel | California Vacation Package | Tour Of United States | Gate 1 Travel - More of the World For Less! Watch our Canadian Rockies Video! 5 Day Canadian Rockies Express Book By Dec 12, 2019 & Save! 5 Day Essential Canadian Rockies Book By Jun 13, 2019 & Save! 8 Day National Parks of Canada with Lake Louise Book By Dec 12, 2019 & Save! 9 Day Canadian Rockies Book By Dec 12, 2019 & Save! 9 Day National Parks of Canada with Lake Louise Book By Dec 12, 2019 & Save! 10 Day Canadian Rockies & Western Canada Book By Dec 12, 2019 & Save! 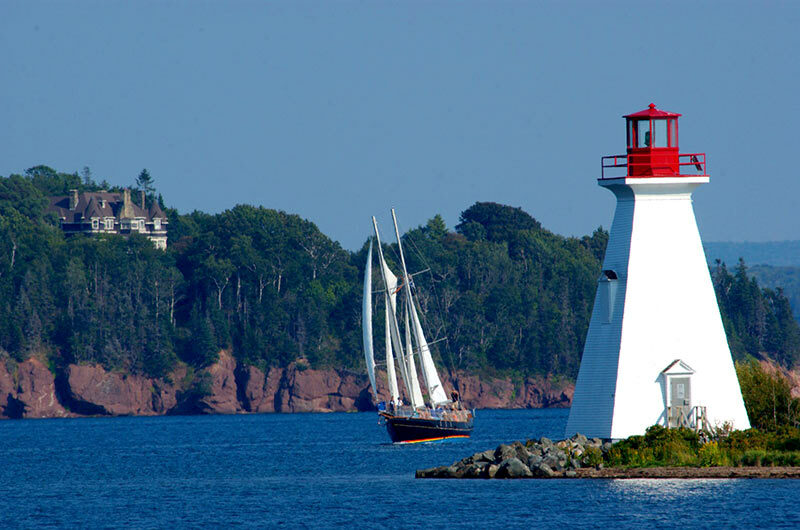 8 Day New Brunswick, Nova Scotia & Prince Edward Island Book By Dec 12, 2019 & Save! 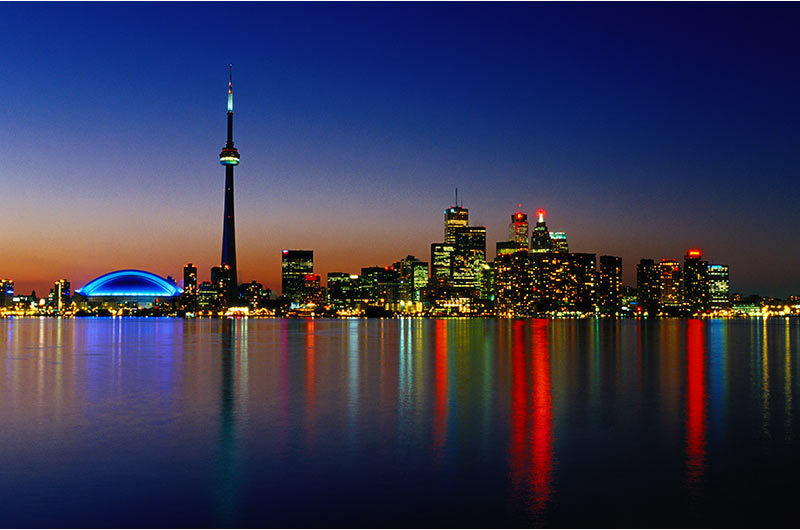 9 Day Canada with Toronto, French Quebec & Niagara Falls Book By Dec 12, 2019 & Save! 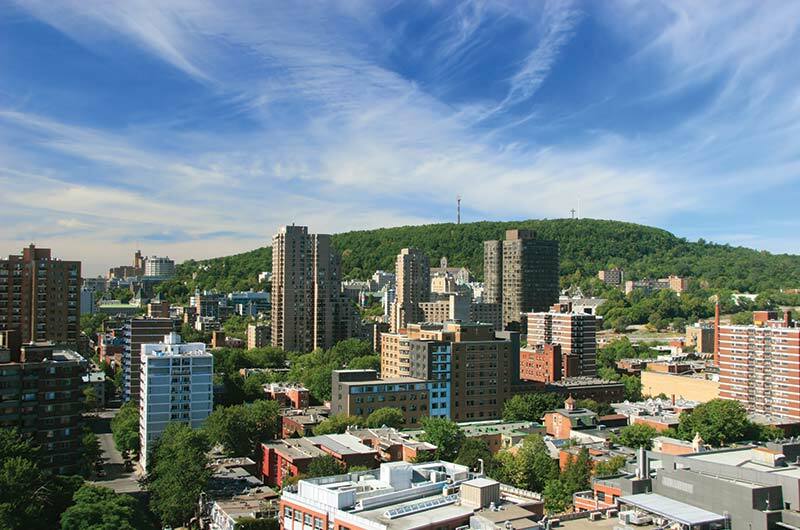 10 Day Canada with Toronto, French Quebec & Niagara Falls Book by Dec 12, 2019 & Save! My trip to Quebec City was absolutely excellent. I really enjoyed every aspect of the trip: The booking process was smooth, efficient, accessible for questions, and the website was easy to navigate. Our Tour Manager, Francis, was just great- very helpful, organized, nice that he was based at the hotel.. all around great person. The bus tour guide, Francois - his commentary was really excellent and so interesting! I give him 20 out of 10! He is also an excellent driver. I learned so much about Canada. Thank you, I will use Gate 1 again and will recommend it to friends. 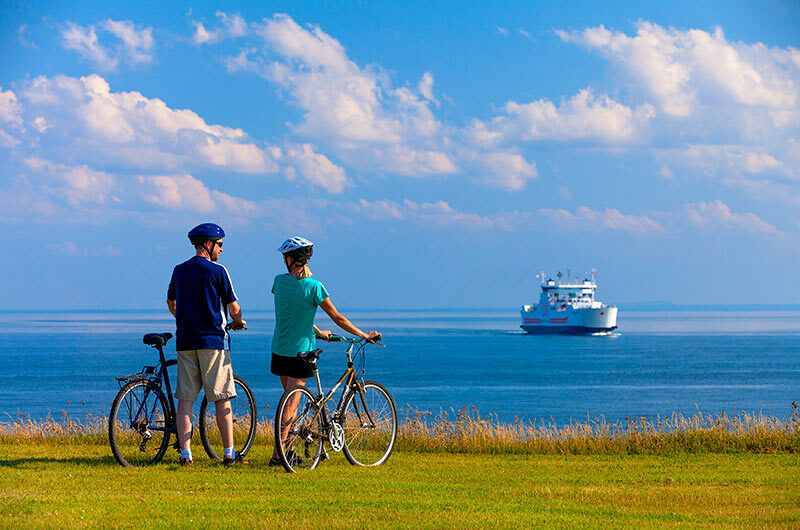 Our trip to the Maritime Regional of Canada gave us a new respect for the vastness and beauty of this area. Our Tour Manager Sandra and Bus Driver Roy were fantastic and provided great insight into the culture and traditions of this area and went out of their way to get the Tour Group to experience them. The accommodations provided exceeded our expectations, the food was excellent and the scenery breathtaking. The people of this area of Canada were delightful, friendly and very engaging as were the members of our Tour Group. Once again Gate 1 delivered on a great tour of Nova Scotia & Prince Edward Island. We had a fantastic trip! It was our first time traveling with Gate1, and my husband’s first time on a bus excursion ... The trip was well organized, and our guide, Micky, did a great job. He added a personal touch and some humour that made the trip enjoyable. Also, our driver Paul was friendly, knowledgeable, and an excellent driver. The scenery was beyond words, and the accommodations were top notch. We enjoyed every minute of every day. I’m sure we will travel with Gate1 in the future. Our trip to the Canadian Rockies was excellent! This was our first trip with Gate 1, and we were thoroughly impressed with the itinerary, service, accommodations, and especially, with our Tour Guide, Robyn McGregor, and bus driver, Bob Barnes. Everything ran so smoothly and was so well planned - all we had to do with enjoy the trip! We must tell you that both Robyn and Bob really ensured we were able to see and do all we could to experience the Canadian Rockies. We will definitely travel with Gate 1 again, and tell others how great your tour was! My trip to the Canadian Rockies was terrific! The scenery was spectacular. The tour provided us the perfect combination of structure and free time. Our group really bonded in the short time we were together. The hotels were strategically located in the center of town within walking distance of restaurants and shopping. Our tour manager, Robyn, was delightful, both informative and personable. Our bus driver, Andy, was excellent, expertly maneuvering turns and gliding along the highway. Robyn and Andy enjoyed a nice camaraderie, which made the trip very enjoyable. Our trip was fantastic!!!! 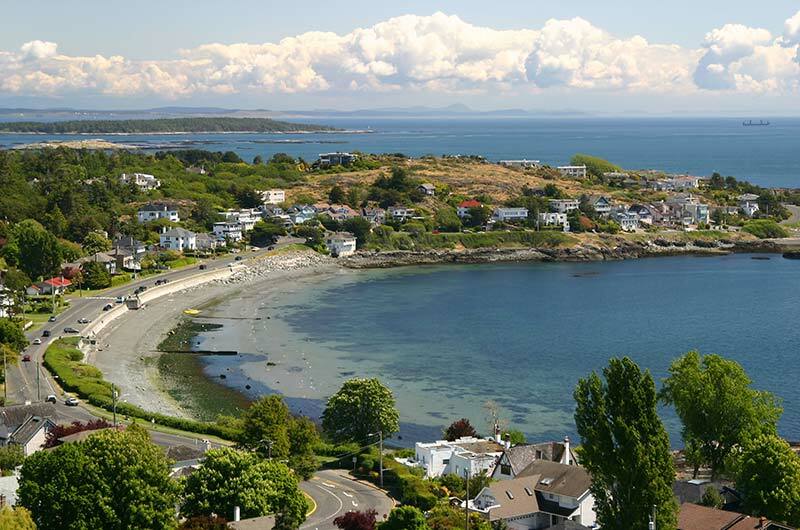 We could not ask for more, we had a great tour guide Brenda, friendly driver Betty, perfect weather, friendly group of travelers, comfortable hotels, beautiful Canada cities on our itinerary! Just perfect!!!! Wonderful!!!!! The tour guide and coach driver went beyond their job description and since the group was so small (14), we had a chance to get to know each other. The people were fantastic and I am so glad that Gate 1 didn't cancel the tour. What a fantastic trip! Scott Robertson was by far the best guide ever! He and his wonderful driver, Betty worked so hard to take care of us - all kinds of little treats, etc. They even went so far as to find a restaurant for Canadian Thanksgiving after our boat cruise was cancelled. The sights and sounds were terrific. The meals we had were really delicious. As usual Gate 1 was outstanding. We had a wonderful time on our trip to the Canadian Rockies. Gate1 put together another solid trip. The itinerary, flights, hotels & meals were very good. Our Tour Manger Cory did an excellent job of coordinating the trip. We will definitely travel again with Gate 1. The trip was fabulous. Terrific tour guide, great people, beautiful part of the country. Everything exceeded our expectations. Looking forward to the next one. We absolutely LOVED the trip. Lovely people and we had an amazing experience in Canada. Our tour guide Lynn was knowledgeable and did a terrific job of explaining what we were seeing. Thank you Gate 1 Travel. I will recommend you to family and friends. I truly enjoyed my trip to the National Parks of Canada and Lake Louise. The sites were amazing, the accommodations were excellent, and the trip was very well organized. Lynn, our tour director, was absolutely fabulous. She was well prepared, well organized, very knowledgeable in various subjects, very professional, and she made the tour very enjoyable. I give Lynn an A+. Our bus driver was also excellent. Everyone on the tour got along with each other and nobody was ever late for a departure time. I would highly recommend this tour to others who enjoy national parks and nature. The trip was fabulous! The tour guide and bus driver were great! The accommodations were top notch! I can't imagine a better trip to the Canadian Rockies! It was great. Walking on the Glaciers and some of the lakes were simply amazing. This experience and the tour director made it very worthwhile for us. We enjoyed it thoroughly. The trip was very good and your guide, Carolyn, was nothing short of perfect! She was outstanding in every conceivable positive way. She was the most organized guide I've ever had. She was understanding and anticipated all of our needs. Everyone on the tour had the highest praise for her. The trip was great. We thought that the Tour Guide (David) was extremely nice, very helpful, and very knowledgeable. He helped make the trip a lot of fun. He is very hard working and well organized ... a real professional... the best overall we have experienced on any tour. The bus driver Rob was also a true professional and also extremely hard working and friendly .. Overall a very nice tour. Absolutely LOVED IT!!! Brenda, our tour guide and Betty our coach driver made this one memorable trip!!! Awesome! Scott is the best tour director. I enjoyed seeing all the highlights of the Eastern Canada cities. Old Quebec City was especially charming. The weather did not always cooperate, but I can't fault Gate 1 for that! It was absolutely fabulous. Karen, our tour director was the best ever, she certainly went above and beyond our expectations to ensure we learned all we could and enjoy our trip. Would certainly travel with her again. Donald, our bus driver was superb, he kept us safe, has a sense of humor, and always, always pleasant and smiling. Loved the itinerary, I feel like I have been to NS and can direct others. Thank you for the great trip. This was a wonderful trip, saw great scenery, ate delicious seafood, and learned a lot about the varying cultures inhabiting the Canadian maritime provinces. Our tour manager Karen was pleasant and quite knowledgeable. She managed to keep the crowd engaged with appropriately timed information. A definite highlight was our visit to Hopewell Rocks in the Bay of Fundy during a time when the tide rose dramatically. 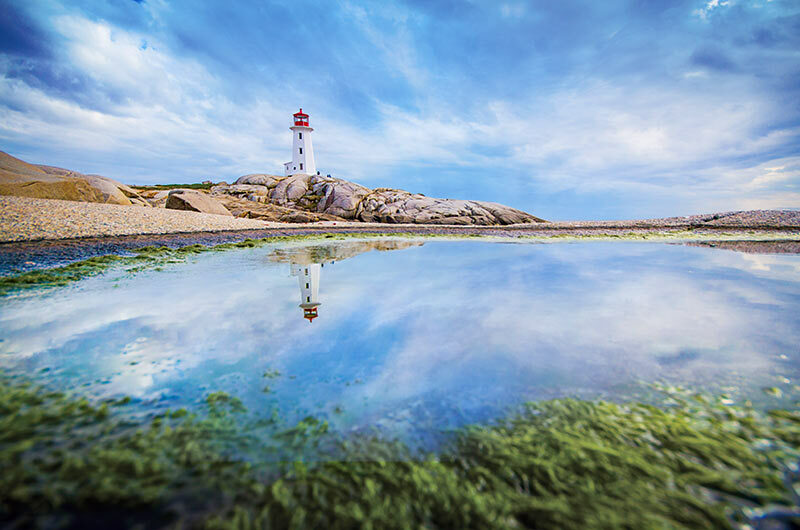 Peggy's Cove is also spectacular! The trip was the highlight of our summer travels, excluding our visit with granddaughters in California. Our guide Karen was absolutely the best. I have recommended this trip to several friends, even those who don't really like bus tours. Karen made it so enjoyable. Didn't want to leave Nova Scotia behind us to return to hot, humid TX. Thank you so much for your assistance in making a beautiful memory. Hope to travel again with Gate 1. Words cannot describe what an amazing trip we had. The beauty of the Canadian Rockies is indescribable. You have to experience it to know what I'm talking about. The choice of hotels was perfect and the excursions made the trip a wonderful adventure. Our tour manager, Robyn McGregor, was exceptional in doing her job. She was so professional in that she became our advisor, our "Mom", our protector, our friend. We were so blessed to have her as our tour manager. Gate 1 has a valuable employee. It is obvious she loves her job and we were the recipients of that love. Kudos for Robyn! Our bus driver, Matthew, was a great driver. He drove that big bus with such confidence. A NASCAR driver could not have done a better job. He went above and beyond the call of duty to make sure we were comfortable and the bus was immaculate. Plus, he had an adorable personality. Again, Gate 1 has a valuable employee. 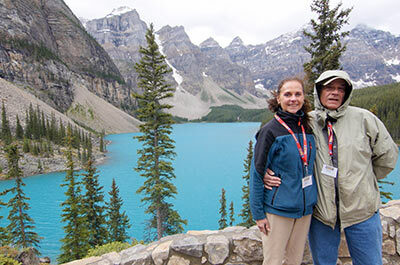 We are so glad we chose the Canadian Rockies Tour to celebrate our 50th anniversary. Thank you, John, for all your help. Look forward to your expertise with another trip in the near future. By the way, our friends, Buddy and Brenda, had a wonderful time. It was very enjoyable. We saw some awe-inspiring scenery and enjoyed our accommodations. Gate 1 is fortunate to have Robyn as a tour guide for the Canadian Rockies tour! We had a marvelous time. Our guide Karen was great. She was very friendly, helped us get tickets to a musical, and was there always making the trip special. We had our 11 year old granddaughter with us and the group and leader couldn't have been better with her also. We all look forward to planning our next Gate 1 trip. Our trip was absolutely wonderful, one of our best!!! Our tour guide Robyn was outstanding as was the bus driver, Bill. The scenery, sights, and activities were better each day, if that was even possible as everything was great. The weather was spectacular, cool crisp, sunny mountain air. I will highly recommend this trip to our friends. We certainly plan to travel with Gate 1 again. The trip was wonderful ... an amazingly beautiful part of our world and the weather was perfect! In particular, our guide, Tom, made it all the more interesting as he is a retired earth science teacher -- he taught us so much about the rivers, mountains, glaciers and trees and how they all tie together. He also made it fun and engaging. We saw quite a bit of wild life. Of course, as in past trips, I met some wonderful people along the way. I was very impressed with Canada in general, and the people, who are most friendly. The people there obviously enjoy and protect their environment. It was very clean. Our hotels and meals, for the most part, were also very good. I look forward to another Gate 1 adventure! All went very well. Most spectacular scenery and wildlife. From Waterton, Glacier Park in Montana, Banff, Jasper with all the lakes, glaciers, falls, boat rides and Bow River rafting kept us most busy. Great trip and worthwhile. Thx. The trip was excellent. Tom was our tour manager and he was the perfect combination of professional, knowledgeable, and just an all around nice guy who made us feel comfortable and added to the enjoyment of the trip. Gate 1 is fortunate to have him as a tour manager. Our trip to the Canadian Rockies was terrific. Our guide, Tom, was excellent. He was very knowledgeable about the geological features of the areas we visited and about Canada in general. Tom had a great sense of humor, very personable, very helpful / considerate of our comfort needs and a great ambassador for Canada. Tom started every morning on the bus with a quote and a song. On the first day of our tour, when Tom said he would do this, the group was a bit skeptical. After hearing the first quote and song, we knew his verbal and musical commentary would be fun and thought provoking as well. My favorite quote described Canada as our attic ... you don't know what beautiful things you will find until you go up there to explore. 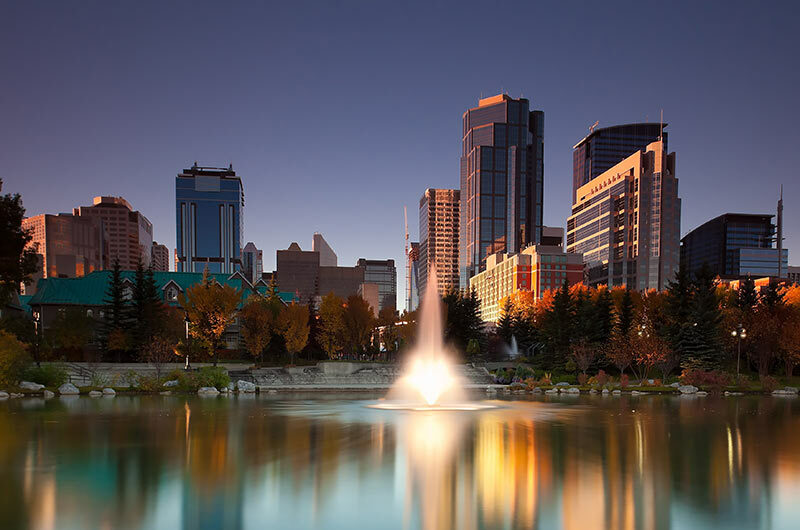 The itinerary included many stops at points of interest and experiences including the gondola at Sulphur Mountain, the cruise around Spirit Island on Maligne Lake and the Maligne Canyon, the historic hotels built by the Canadian Railway and many, many wonderful vistas. We enjoyed spectacular scenery every day and we enjoyed every minute of this adventure. We were very fortunate to have Tom as our guide. He managed our bus full of 41 travelers very well including the unexpected mechanical problems of the bus that caused a short delay one morning. We appreciate all that Tom did to make this visit to the Canadian Rockies very special for my husband and me. Thank you for great service. Great Trip and Great Tour Guide. I enjoyed all the sites with printed info about each (including facts about Canada). We had a fun group; met many new friends. Thanks to Gate 1 for providing good hotels, good food, comfortable transportation, excellent driver, and great tour guide (Karen). I would like to book another trip with Gate 1 in the future. My trip was great! Robyn Mcgregor did an outstanding job and made the trip quite enjoyable. There was just the right amount of free time. The trip was absolutely marvellous. I enjoyed every minute of it. Enjoyed visiting all the sites.The service was also excellent. And that also applies to all the hotels we called at. We had a great tour guide on board and the coach driver was also an excellent driver. Also enjoyed the company of the few local local guides who joined us. I am sure that should I plan another trip to North America and wish to make a tour, I will certainly apply to Gate 1. That is why I have an account with your website. Thank you for providing me with a superb holiday, to which I can look back on with great pleasure. It was fantastic. Our guide, Karen, was informative and so much fun. Plus the weather cooperated, too. I had been to this area before, but this trip showed me many more sites. Since Karen was so popular with everyone at the sites, we were warmly welcomed. I've traveled with Gate 1 before and I will again. Thanks for the opportunity. We enjoyed our trip very much. We learned a great deal about the ecology, history and culture of Nova Scotia and surrounding provinces in Canada. It was great to have Karen, a guide who is from Halifax, as she is very invested in sharing her knowledge of the area. Karen kept us supplied with hand-outs, maps, brochures, and detailed daily itineraries. I really liked that she gave us maps to draw on so we would know what our route was when we were on the bus. Some of the bus rides to get from place to place can be long, so it was nice that she had informative and entertaining DVDs, or local music to play for us, as well as talking to us about the area we were visiting. What I appreciate about Gate 1 trips is how much I learn about an area in a short time. The itinerary was varied and we had plenty of free time to explore. 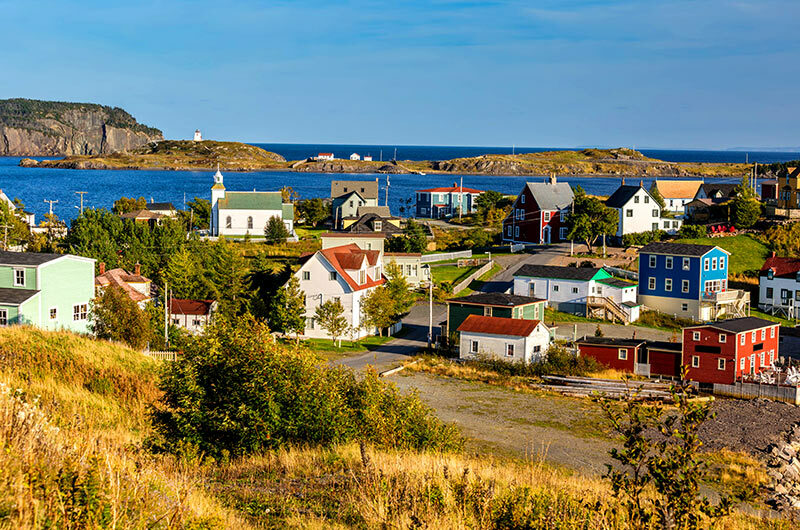 My highlights were the Fort at Louisbourg, The Bay of Fundy and Hopewell Rocks, Peggy's Cove, Cape Breton Highlands, (great scenery), the sail on The Amoeba on Bras d' Or Lakes. I have traveled and hiked in the highlands in Scotland in the Western Hebrides, so visiting Nova Scotia and learning more about the area has always been a dream of mine, and the Gate 1 trip did not disappoint. The welcome dinner at a local pub was great, with lobster and mussels. Keep it in the itinerary! Karen is a great guide. She is very upbeat, helpful, and worked very hard to keep us engaged and comfortable. Thanks. Our trip to the Canadian Rockies was fantastic; and our guide, Diana, the best ever (and we have had some great ones!). The itinerary was well planned and executed perfectly. Diana never missed an opportunity to educate and amuse us at every opportunity. She made sure that everyone had a good and comfortable stay in the hotels and the bus. Water, tea, coffee, stops enroute were very well planned and always in an area that provided for "choices" in the local economy. We enjoyed our seat rotation which gave us an opportunity to meld as a group. Our driver Claude was steady and helpful, a real asset! They both gave us their personal experiences from past visits and interesting facts about the places. The scenery was spectacular and their unique little side trips made it a vacation to remember! Unfortunately the bears decided to take the same 10 days off. Again we cannot say enough. The trip was wonderful! Taking a tour bus is the way to go and Robyn was a fantastic guide!She was so sweet, helpful, knowledgable, and pleasant to be with. The scenery and places we stopped were spectacular. Gate 1 was a terrific company to travel with and we will definitely use their services again. It was a wonderful experience. It was well planned and executed to perfection. Our travel guide was a wonderful lady. She made sure that everyone had a good and comfortable stay in the hotels and the bus. Water, tea, coffee, stops enroute were very well planned. Isabelle and Don made us feel a part of the whole gang. They gave us their personal experiences from past visits and interesting facts about the places. The driver Don was steady and safe. We thank Gate 1 for this Trip. We had a fabulous trip, thanks to Annick and cooperative weather. I have to say that it was one of my best trips ever! My fellow travelers were very friendly, and the scenery in the Canadian Rockies was just spectacular. Our trip was the best trip we've ever taken. This was because of our tour manager Annick. Annick's knowledge and expertise was incredible! It was only surpassed by her passion and concern for all of the members of our group. There was never any time where she wasn't available. And honestly don't know if she even had time to get some sleep while conducting the tour, her enthusiasm was contagious. Thank you and Annick for an incredible experience! The trip was fantastic. Great group of fellow travelers. The tour manager Annick, was very good. The bus was very comfortable, and Yoshi, the driver was good at spotting wildlife along the route. I would recommend this tour to anyone. My trip was wonderful, Karen was a fantastic tour guide and Stephen was a great bus driver. The trip was so well planned and all the accommodations were excellent. The number of travelers was small which helped in getting to know everyone. Everyone in the group was so nice, we felt like family by the end of the trip. Karen added so much to the trip, she was so organized and a wealth of information. I can not say enough positive things about this trip it was really a fun experience. The Nova Scotia/Prince Edward Island trip was wonderful. We had great weather up until the last two days when it was foggy, rainy, and cold, but that didn't stop us from doing anything. We had a small group of 14 very nice people. Our guide, Karen, was probably the most organized person I ever met. She was great. I think I ate lobster twice a day the entire trip! I'm sure I've gained a few pounds because I didn't skip on the desserts either, not to mention a couple walks to Cow's ice cream. Wonderful! We had terrific weather- 70-90 degrees each day, with blue skies, so it really complimented the wonderful scenery of the Canadian west. A great guide, and a good group a travelers that always arrived on time for the bus. Couldn't have asked for a better travel experience!